I love french perfume. My favorite "Not a Perfume", more like a cologne comes from France, and this is a lighter more romantic version of it. This is perfect for when you have just jumped out of the shower, or for everyday when you go to work and you can't wear a perfume that is too strong since you willl be around coworkers. Writing a review of a perfume is so hard because it's quite difficult to explain such a scent, especially a FRENCH scent, but I think most of you know, if you know what French perfume smells like, if you like it or not. "This sparkling romantic fragrance captures the scent of sundrenched florals of the brand’s namesake convent in the South of France. 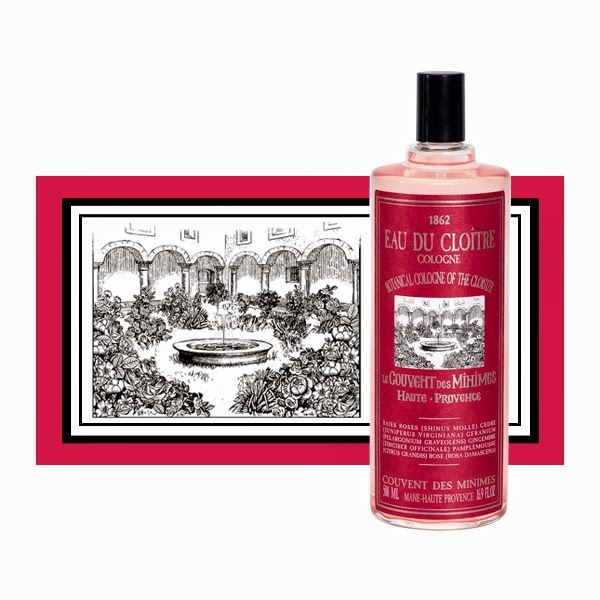 The fragrance opens with notes of Grapefruit and Ginger that flirt with Black Current and Ivy, capturing the coolness of the cloister arcades. At the heart is a beautiful, intoxicating Rose magnified by Magnolia and fresh Peony. The fragrance warms to base notes of Cedar and delicate Musk for a feeling of reassurance and authenticity. 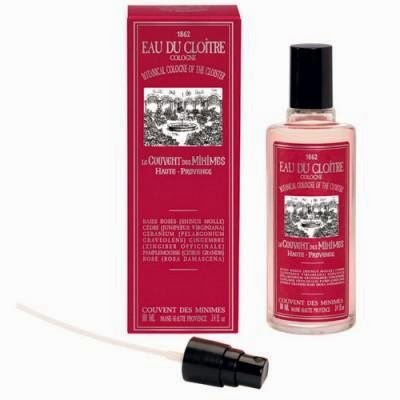 Price: 3.4 oz, $38 ; 8.4 oz, $49 Rose, Pink peppercorn - sources of joy Geranium - source of harmony Grapefruit - refreshing Ginger - source of vitality Cedar - invigorating"
Le Couvent des Minimes Eau du Cloître is available in 100, 250 and 500 ml Eau de Cologne. So not only is this stuff amazing and unlike my other French perfume you don't have to order it from France, which means less shippping and MUCH more affordable. If you love the romantic Paris scent I guarantee you will love this one! Totally approved by me!! Disclosure: A press sample was sent to me for consideration from PR for the purpose of this review only. No monetary compensation was received. All opinions are my own.